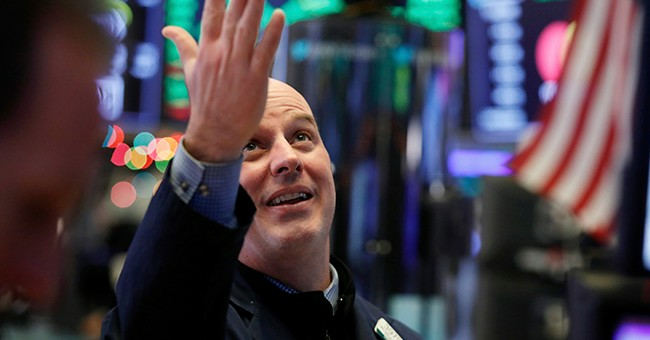 Are Markets Actually Turning Optimistic? The fact of the matter is that the fundamentals were not pessimistic last month either. What happened last month was pessimistic sentiment combined with timing and technicals that kept buyers out. It went too far, too fast, and with no new news at all the sentiment has reversed (for now). It is what markets are: unpredictable sentiment that can move on a dime. It is why sentiment is un-investable. The fundamentals are good (earnings growth, U.S. economic backdrop), but there are headwinds that cannot be ignored. So what are the positive and negatives in the current market environment? I will never pass up an attempt to tout the benefits of dividend growth equity investing to those who want to play defense, who want income, and who are looking for a solution through some of the tensions that investors often face. At the top of the list of concerns in capital markets right now are credit concerns. Investors so often view municipal bonds as safe even as the payors in those cases are often running at the most distressed balance sheet and income statement realities I have ever seen. Investors view corporate bonds as safe even where indebtedness has grown and financial ratios deteriorated, and we approach later innings of the cycle. Well, that is not to say that these debt instruments are on the verge of default (they are not); just that investors are likely not appreciating the reality of risk there. But in the equity camp, it is particularly important that investors take seriously the balance sheet of companies they own. Most companies do not get into trouble (existentially, anyways) over earnings – they get into trouble when their balance sheet is vulnerable. Our dividend growth focus requires us to care about net cash (cash vs. debt). It requires us to care about debt-to-income, about free cash flow, about debt-to-assets, about the overall capital structure of the companies we own. There are companies, states, counties, and more with credit quality concerns to be aware of as an investor. Our dividend growth equity philosophy is tailored towards taking this very seriously. It is entirely about adding to the uncertainty narrative of Europe at large. I remain overwhelmingly pro-Brexit, and am certain if the will of the voters were executed it would enhance trade and enhance access to markets, all the while re-calibrating appropriate national sovereignty. When in world history has more freedom been bad for markets? But see, we are not talking about that now. This is about the uncertainty of how this dumpster-fire plays out. Europe at-large remains unattractive on a risk-reward basis, as this uncertainty, combined with German economic recession, combined with an Italian debt bomb, etc. all lead to a story we just don’t want to touch. If they treat it with more fiscal stimulus, it will make things worse. If they treat it with yet more monetary stimulus, it will likely create a short-lived sugar high rally, and kick the can. No thank you. I have become a pretty obsessed student of the modern European Union, largely out of my fear for certain social, cultural, political, and economic mistakes being repeated in the United States, but also because it represents a pivotal turning point in so much of modern society. I subscribe to the thesis that German reunification in the early 1990s caused many other European countries to panic at what was really a very positive development in civilization and opt for a heavy centralization and forfeiture of national sovereignty as a means of competing with what they thought would be an economically indomitable Germany. The vision for a European super-state came after two world wars, but it wasn’t advanced in the form of a shared currency until after German reunification. Well, fast forward twenty years, and I will let history say if Germany’s disproportionate influence, control, and the competitive edge was reigned in by the behemoth of a European Union and currency, or if, in fact, it has grown on steroids. The stated promises of those who delivered a strong centralized control of Europe have badly failed, and Brexit represents what will surely be the first of other attempts to unwind the failed (and unnecessary) experiment. No hikes. No cuts. Think: 2016. As for balance sheet reduction (quantitative tightening) – $50 billion/month will prove too aggressive for credit markets to swallow. If they go back to $10-20 billion/month it will rally markets. Eliminating the roll-off all together would be the biggest Fed white flag dovish surrender in history. I found fascinating transcripts that were released this week of the 2012 and 2013 federal open market committee policy meetings, wherein then Fed-governor (now Fed chairman) Jay Powell spoke of fears that quantitative easing would create a “sharp and painful correction” in corporate finance. He voted for the famous QE3 bond-buying initiative of 2012 (that lasted through 2014), but in 2013 warned that such transactions should be cut before “bubble-like terms” surfaced. “I would take the next opportunity to taper,” he said. He even made reference to how it could be done in a way that did not shock the markets. It’s always a good idea to separate the broad discussion of “bonds” from the specific discussion of “municipal bonds.” Treasury bonds, corporate bonds, and municipal bonds all are impacted by prevalent interest rates, yet all three do have potentially different supply and demand characteristics from one another. Supply comes from issuance, and in theory, if the federal treasury deficits will expand, there will be a higher supply of treasury bonds in the marketplace. Inversely, if issuance of new municipal debt is a net negative (more bonds maturing than are issued), you would face less supply of munis in the marketplace. Both categories of bonds get their demand in a low rate environment from those seeking a safe haven asset class. That strikes me as unlikely to go away any time soon. So demand ought to be stable, and supply in municipal bonds ought to be net negative relative to 2018. Therefore, the total return for 2019 will likely be most impacted by broad interest rate movement. The other factor that will certainly come into effect at some point is that the cyclical economic health of particular states/counties/cities. Revenues backing these bonds have been strong, and I think will continue that way. But if stock markets end up facing volatility from fears of a recession (whether this year or in a future year), it can’t be forgotten that revenues decline for certain states precipitously in such times (and California is one of them). We have moved towards a more concentrated maturity structure this year, meaning the bonds are less spread out across a plethora of maturities from short term to long term, and more targeted towards (and around) the actual targeted duration of the bond portfolio. In other words, if one wanted a duration of five (hypothetically), they could have a lot of bonds at different durations from 1 to 10 that all average together to 5; or, you can own all bonds from 4 to 6 in duration that averages a 5 … (these are hypothetical scenarios to make the point). Our duration management right now favors more concentration in maturity (like the latter scenario), as the spread between short and long bonds is so tight. We do not mind some credit risk in the tax-free space (we like it much more in muni than we do taxable), as the spreads from lower rated credits to higher quality credits do provide some value (not extraordinary, but enough to generate interest). The cultural and policy debacle that is American higher education and its funding mechanism is known as “debt” continues to be one of the strangest stories everyone seems to know about and no one seems to want to talk about. Between 15-20% of the present $1.5 trillion of student debt is in default, and that number is projected to get as high as 40% within five years. The creditor in this situation is the government, so it doesn’t offer a parallel to the financial crisis where the banking system was the creditor, and therefore a gargantuan hole was created in the balance sheet of our national private economy. However, that empirical comment should not be interpreted as saying all is rosy. For those who believe in the insanity of permanently increasing housing prices, is there reason to believe that $600 billion of student debt defaults may hinder first-time home buyers? I believe I have written for nearly twenty years about the reason I like the consumer staples sector – the idea of high-quality companies with strong balance sheets and “have to buy” products for sale that pay out attractive and growing dividends to their investors. We own several companies that meet these criteria in our portfolio and have for a very long time. However, it is incumbent upon me to point out in the aftermath of our portfolio rebalancing efforts recently, that valuations matter. We want our weightings of various companies to reflect value. Sometimes very good companies get expensive and have to be trimmed. And sometimes that message in no way contradicts the positive message. The number of active oil rigs is up 18% over this point last year, and there are 9% more natural gas rigs active than this time a year ago. It is incumbent upon me to reiterate that oil and gas pipelines are paid based on the volume of oil and gas that needs transportation and storage. More production = more transit needed of the commodity itself. I read a report this week from Strategas Research pointing out that after nine years of monetary stimulus (zero interest rates, quantitative easing), 37% of small-cap companies (Russell 2000) do not have corporate profits, whereas the historical average is 25%. Small cap companies are more susceptible to the Darwinian realities of more normalized monetary conditions, where the easy monetary environment post-crisis made it easier to be a bad company. Stock selection in small cap is likely to matter a lot more the next decade than it has the last decade, and it remains one of the reasons we are such advocates of active management in this space. One thing about the December market sell-off that I do not believe has gotten enough attention is how the collapse in the longer-term bond yields has made a case for higher-risk asset valuation. The 10-year bond yield essentially dropped from 3.25% to 2.65%, and the same time we now hear the Fed seemingly going much more dovish. These rates are more than just a benchmark for borrowing costs (though they are surely that), but they are also a reference for the valuation of assets (risk assets are priced up against some “risk-free rate”). The lower these valuation benchmarks are, the higher equity valuations can be found justifiable. The tension point is that a 2.5-3% yield on the 10-year treasury suggests underwhelming economic growth, and yet it also suggests a market multiple on the S&P 500 higher than its own median. I have been asked (astutely) how 800,000 federal workers not getting paid is not an economic event, and I think some clarification is in order. Certainly, 800,000 federal workers not getting paid for any prolonged period will show up in some aspect of GDP data. But this is purely a timing issue – as all of those wages will be paid retroactively when the shutdown ends. So if it were to play out that way, it could end up suppressing certain data in Q1 then boosting it in Q2, etc. Forecasting the politics of this is difficult, as both sides are certain they are winning (recent polls show more blaming the President than the Congressional Democrats for the shutdown, but then the same polls show a substantially higher percentage supporting the border wall now than did before this started). What is perhaps the most relevant risk in today’s political environment that is not getting much air time? Some bipartisan effort to implement some form of drug price fixing (or government control of reimbursement). The threat has been there since 2015, and either failed via referendum (California) or gone nowhere legislatively. But it is an area where sometimes President Trump and Bernie Sanders talk from the same notes, and it should not be ignored. The yield curve has not yet inverted, and we do not know that it will (I find certain arguments from both sides as very compelling). But what we do know is that if it does, the time to a recession is hardly imminent. In fact, it is quite unpredictable.